WAILUKU — A 2nd Circuit Court judge Friday denied a motion by Maui Lani Partners to lift a stay that prohibits the company from sand mining and excavating as hearings continue on a lawsuit regarding the company’s work. Attorneys for Maui Lani Partners filed the motion in response to a 10-day stay issued by 2nd Circuit Judge Joseph Cardoza on Aug. 2. The stay came after Malama Kakanilua and members Clare H. Apana and Kaniloa Kamaunu filed a lawsuit on July 24 asking the court to halt earthmoving activities by Maui Lani Partners in Maui Lani Phase IX until it complies with its archaeological monitoring plan. Plaintiffs alleged that work was not being done in presence of a monitor, which is part of the plan. They are also concerned that burials have been disturbed and desecrated and further activities will cause more harm. 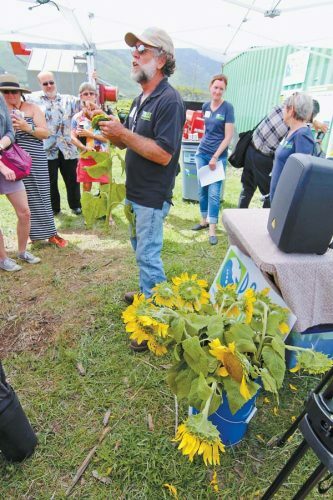 Maui Lani officials have said that all earthmoving activities were overseen by an archaeological monitor in compliance with the state-approved monitoring plan. The court began an evidentiary hearing on the motion for a preliminary injunction Friday morning, after Cardoza ruled that the court does have jurisdiction to hear the claims. The hearing has been recessed to 8 a.m. Aug. 23. The plaintiffs’ attorney, Lance Collins, said after the hearing that the stay will remain in place until the upcoming hearing. If the preliminary injunction is granted, a stay on the work will remain as the case proceeds, Collins said. Malama Kakanilua was formed to protect iwi (bones), burials and other historical and archaeologically significant sites on Maui. It is named for Kakanilua, a famous battle that occurred in the sand hills of Central Maui, the group said. Outside the court, Leiane Paci of Maui Lani Partners that the company halted its subdivision and infrastructure grading May 1, so the stay is not currently impacting work. Maui Lani Partners and contractor HC&D received notices on May 1 to correct violations after the county found that the permit the grading was done under may not have been sufficient. The county said that’s because the excavation and exportation of high-quality sand for concrete and other uses meet the definition of resource extraction, which requires other permits. Collins has said in the past he doesn’t believe the developers could obtain other permits because of the property’s residential zoning. Collins said that despite Maui Lani’s claims, the plantiffs have witnessed earthmoving work after May 1. He said that there have been numerous instances when there has been no archaeological monitor present when earthmoving work was being done. He said that in Maui Lani’s early Archaeological Inventory Survey, it was noted that there were no burials found. But as work progressed, two burials were discovered, and that is why the preliminary injunction is needed. Collins argued that the plaintiffs should have the matter heard in Cardoza’s Environmental Court. But Gregory Kugle, Maui Lani’s attorney, said the matter can be heard by government administrators first. He added that the stay on the company’s earthmoving work affects 1,112 acres of its master plan area, not only the 8.9-acre grading area. He pointed to Maui Lani’s commercial center, where building pads are ready but trenching for utilities cannot go on because of the stay. The order can also affect landscaping, as it involves turning soil. Maui Lani takes protecting cultural sites and burials very seriously, he said. Kugle also questioned plaintiff Apana’s recollection of seeing grading without an archaeological monitor, since she provided no specific dates, but said it was in 2014. 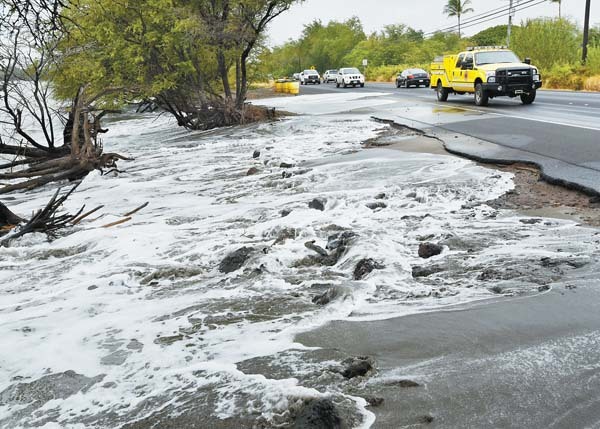 He added that there will be irreparable harm as work on Phase IX is connected to work on parks, roadways and infrastructure that benefit Maui County and its residents. Jennifer Noelani Ahia. the plaintiffs’ first witness, testified to videotaping heavy equipment doing earthmoving work on June 26 in the Maui Lani Phase IX area. The lawsuit comes as a County Council committee considers ways to regulate sand mining in light of the Maui Lani case. 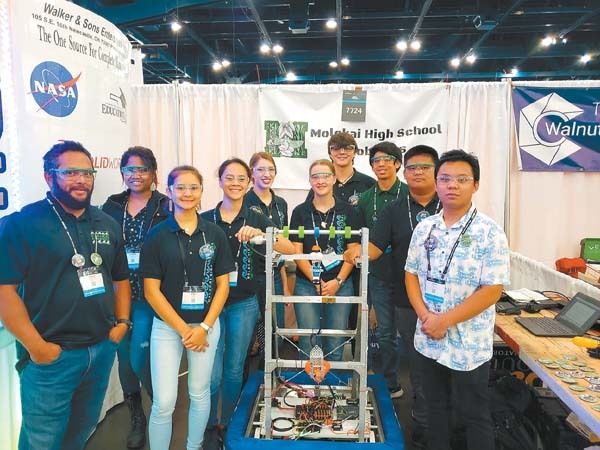 The Office of Hawaiian Affairs also has expressed its intention to get involved.